As traditions go, there's hardly anything more Minnesotan than this: climbing into one of the 11 wooden boats in the Ye Old Mill at the Minnesota State Fair, and gliding along the three-and-a-half minute ride around the concrete channel that twists through the lot behind Sweet Martha's Cookie Jar. 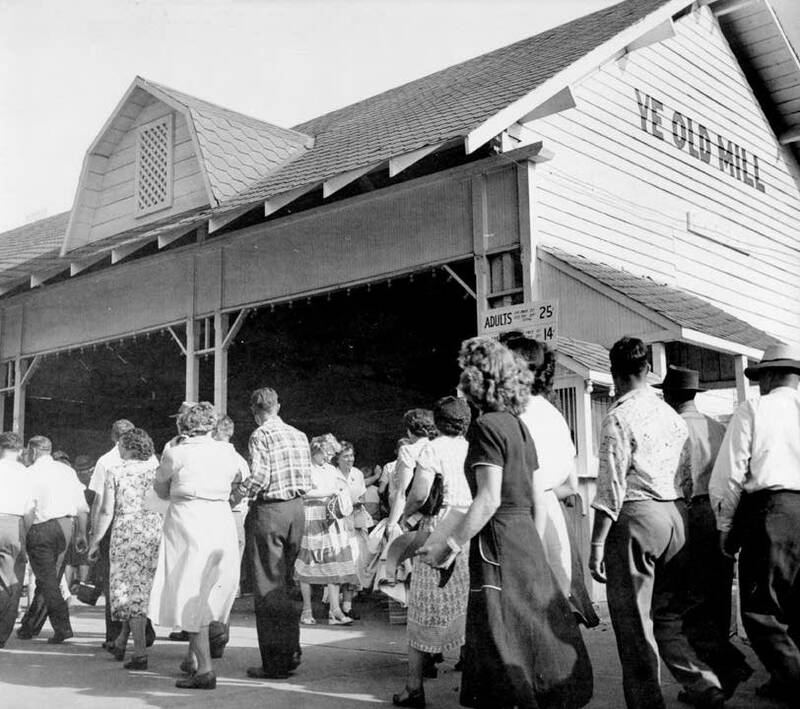 The late ride designer John Keenan opened Ye Old Mill in 1915. It's the oldest operating attraction at the fair and remained in Keenan's family until this weekend, when descendants agreed to sell the ride to the fair. "Me and my three brothers, we live in all different parts of the country, and I'm the only one that lives here, and you know it's a 100-year-old ride, and we've been really fortunate to do what we've done with it," said Jim Keenan, the fourth generation of his family to run the ride. A psychologist in Golden Valley, he says he has to start in April to fix up the boats and get the ride ready to open. 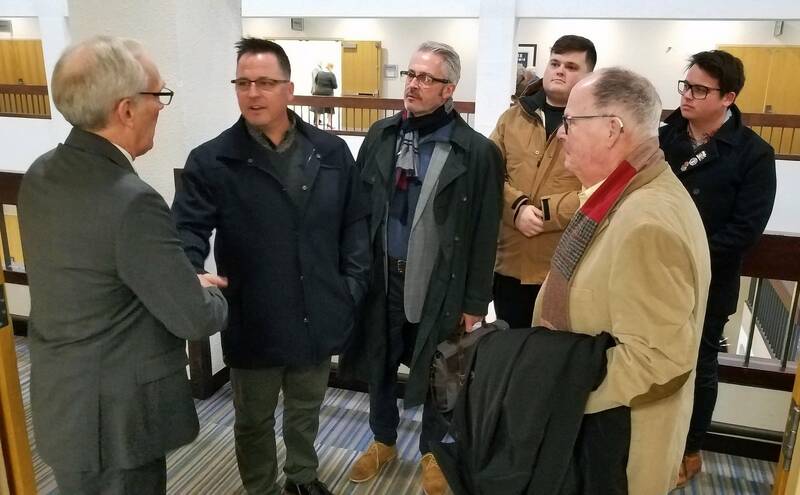 "To take it to the next level, we felt like we really needed to put it into bigger hands than one family," Keenan said as he, his father and brother gathered at the State Fair's annual meeting in Bloomington. Keenan's great grandfather built the ride, designed by the Philadelphia Toboggan company. The Keenans at one time owned seven mill rides around the country, but the Minnesota version is the only survivor. It has a 971-foot long concrete trough, filled with 15 inches of water at the start and about 3 feet at the end of the ride. A giant paddle wheel run by an electric motor dating back to 1911 powers the water flow. The ride doesn't have the thrills of rides on the Midway, but it is still a steady attraction at the fair and general manager Jerry Hammer says the fair knew Ye Old Mill had to keep going. The fair's board approved the $80,000 purchase as part of its 2018 budget this weekend. The annual budget also includes $500,000 for upgrades for Ye Old Mill. "There are some traditions that really need to be preserved, and that's one of them," Hammer said. "And the expense part of it, the good news is the fair, we do have the ability to do some work in there. There's electrical upgrades, that type of thing, life safety improvements, basically the ongoing type of maintenance." The fair's board of managers on Sunday also approved a planned purchase of the CW Twin Cities TV studios on the south side of Como Avenue, across the street from the fairgrounds — an acquisition that may put off the planned remake of the State Fair's north end. But the fair is going ahead with a new restroom complex, near the Pet Center, for 2018.